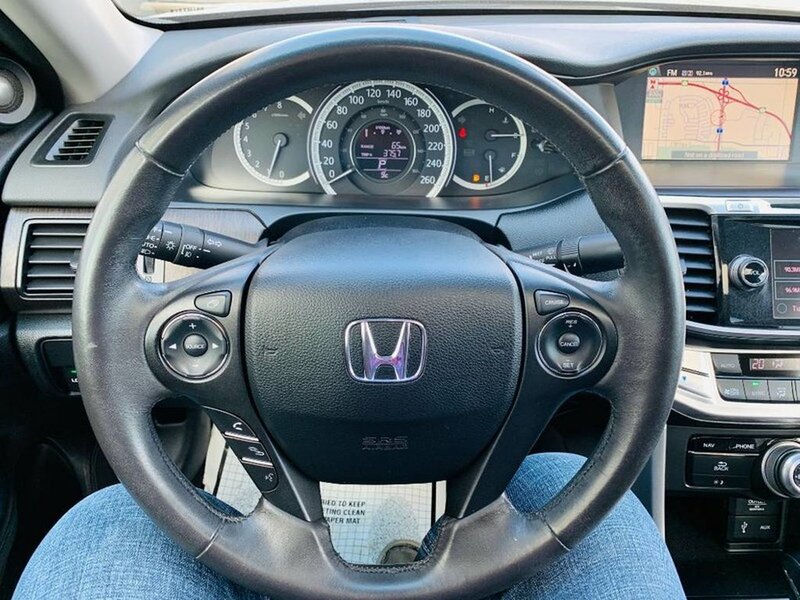 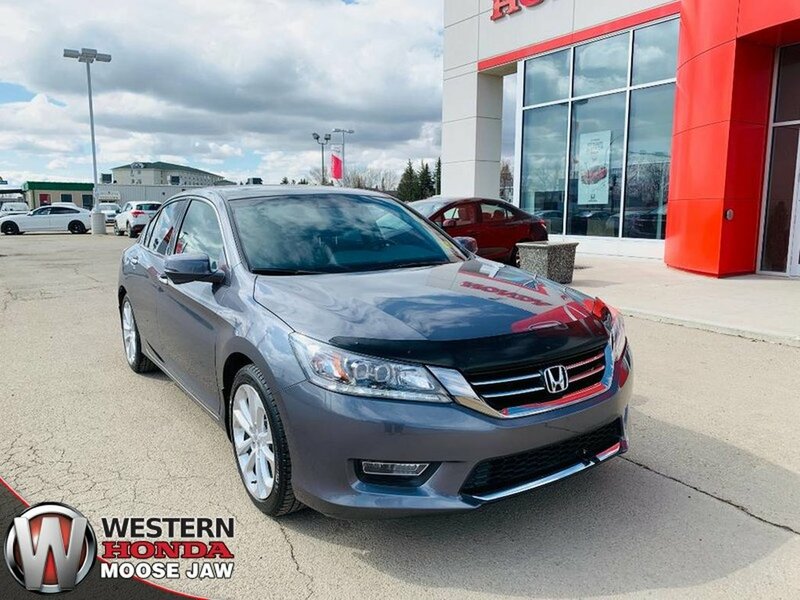 This local 2013 Honda Accord Touring V6 has been well maintained by its previous owner. The “Modern Steel” exterior is in excellent condition paired with an odor free black leather interior. 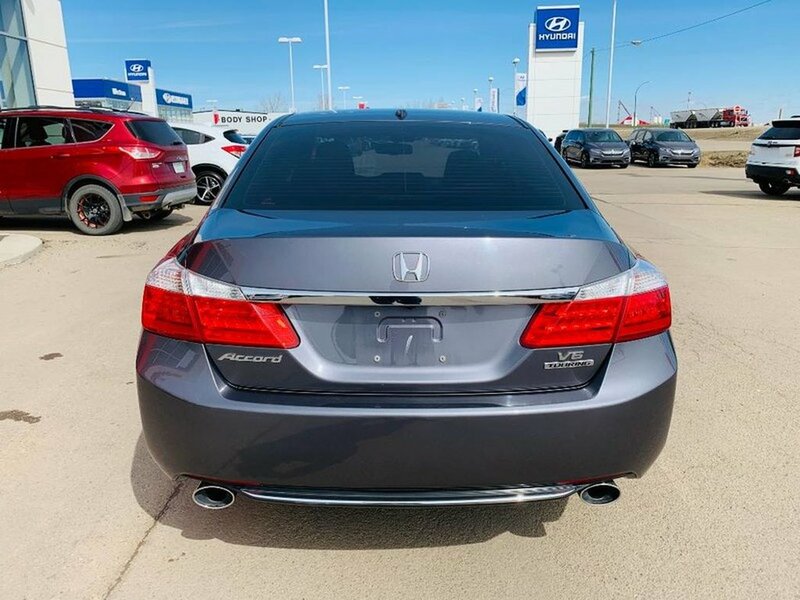 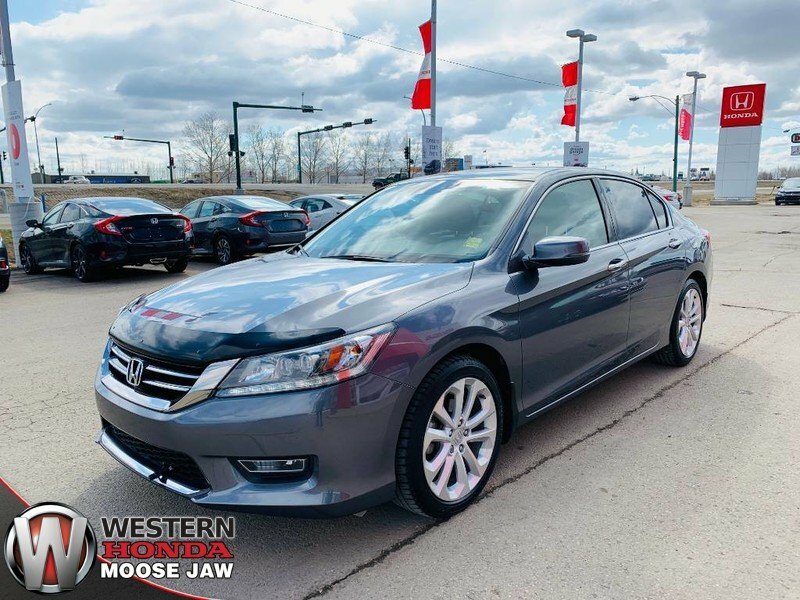 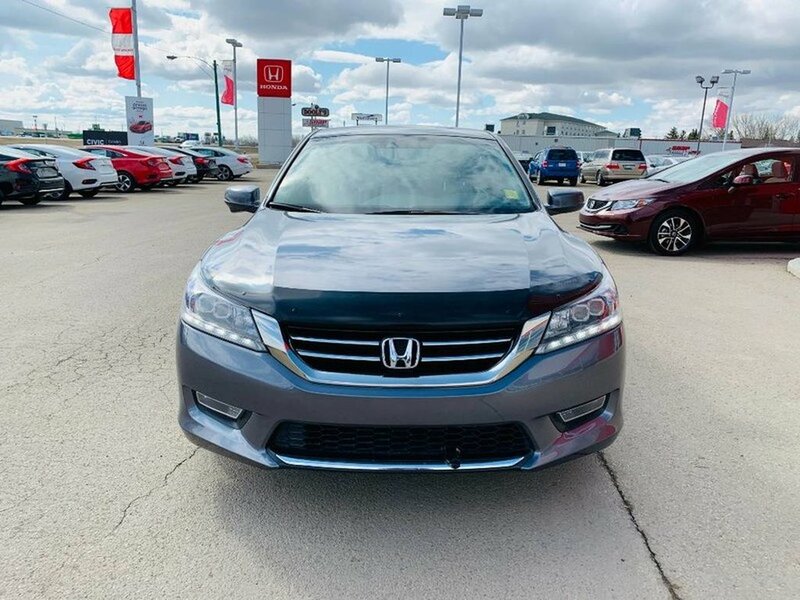 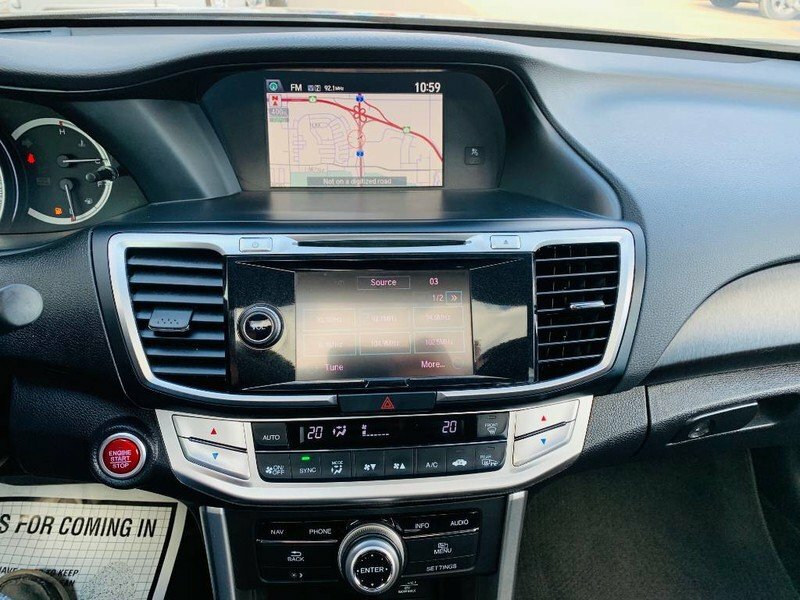 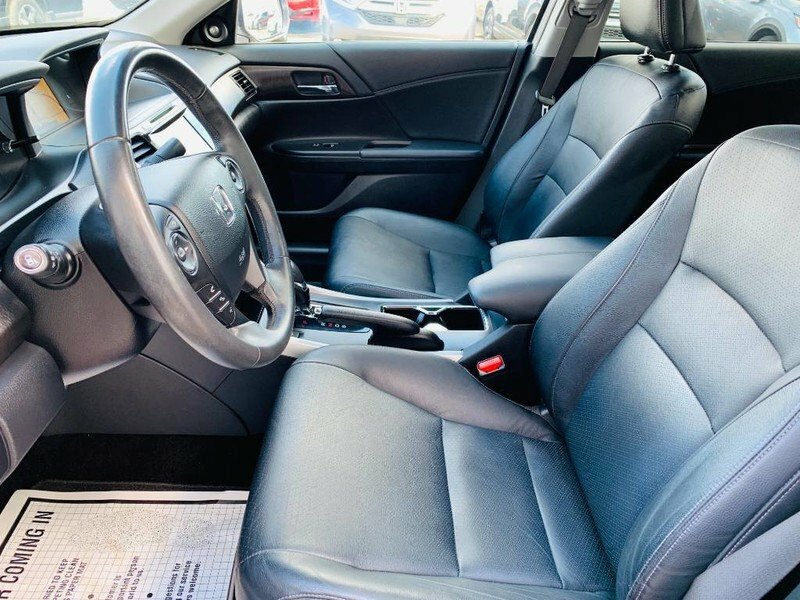 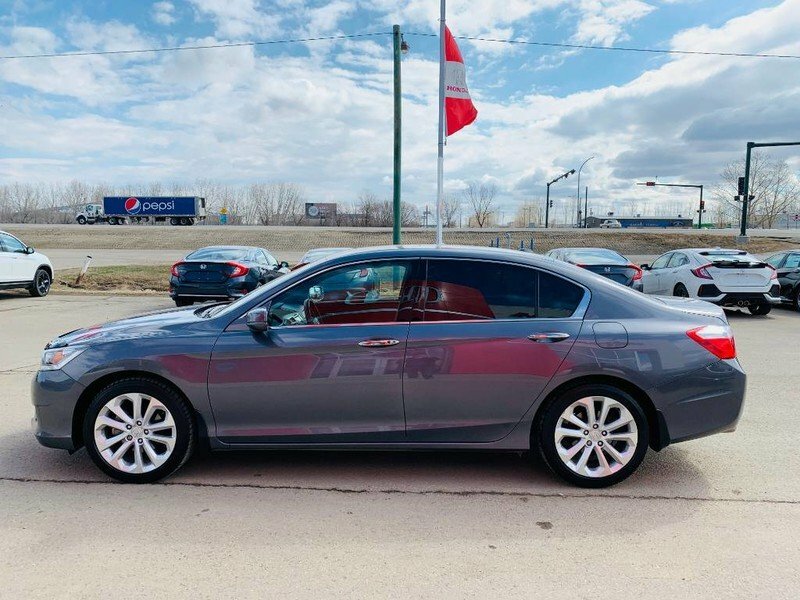 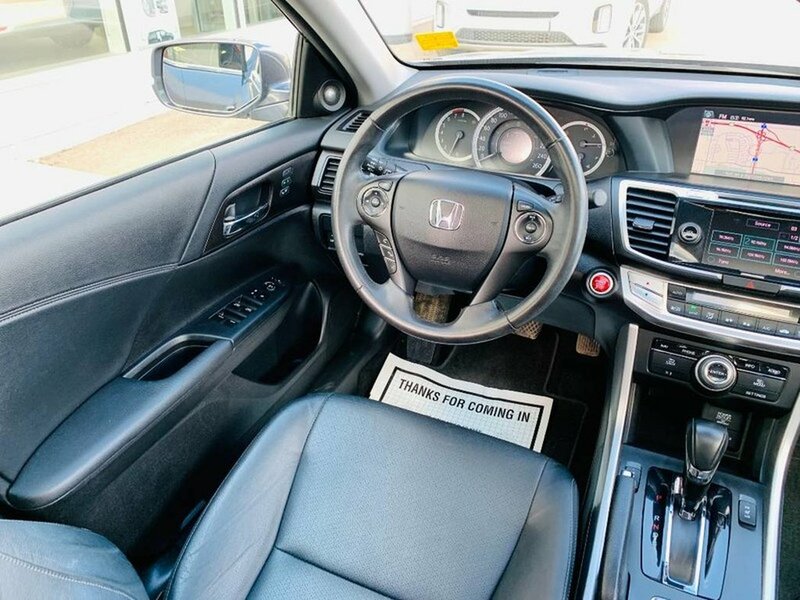 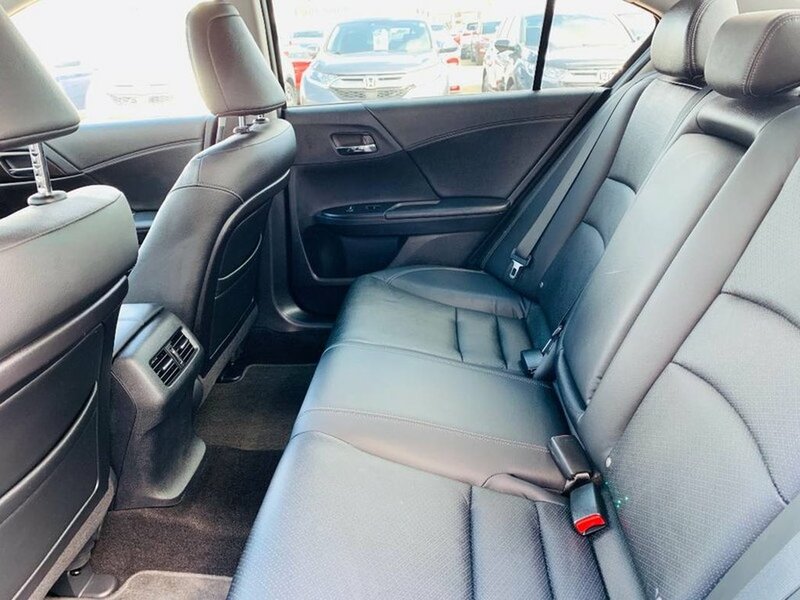 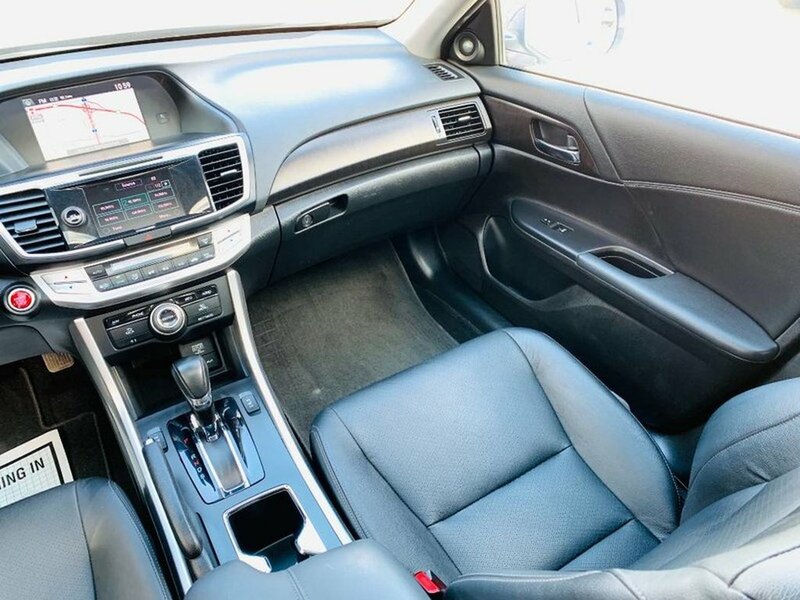 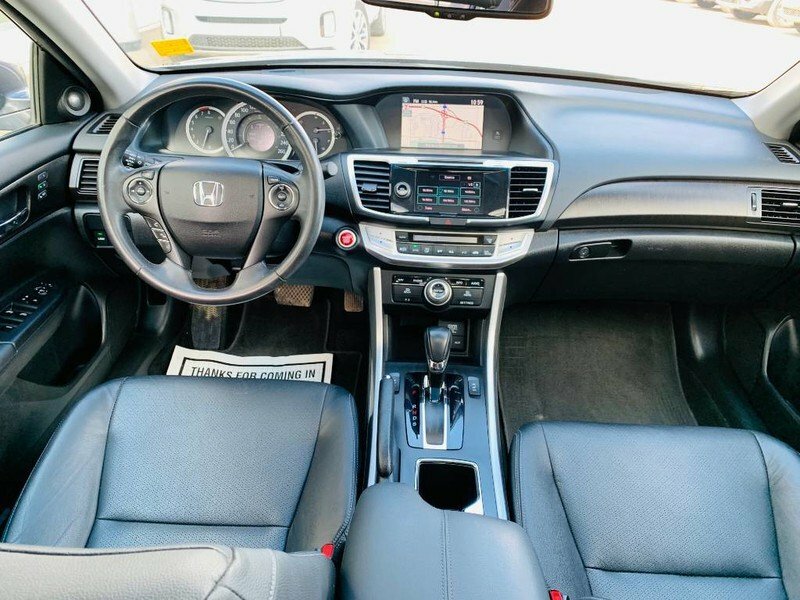 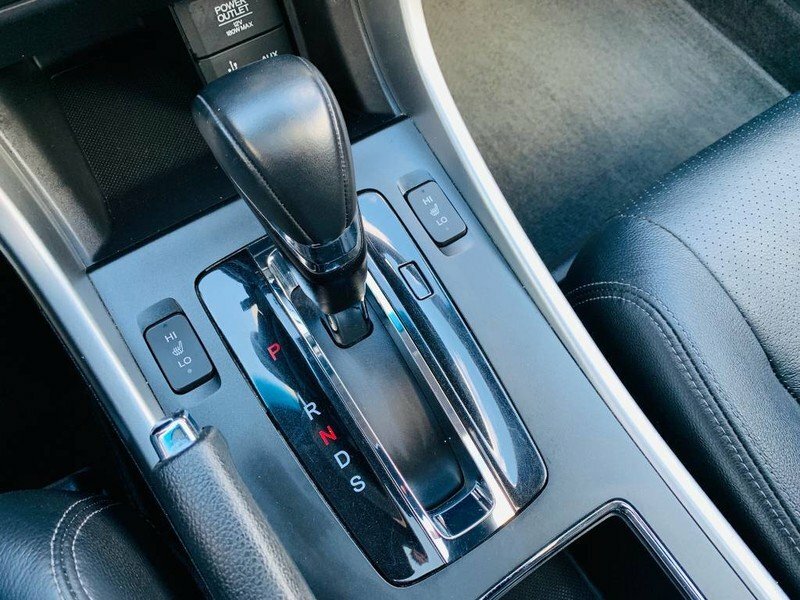 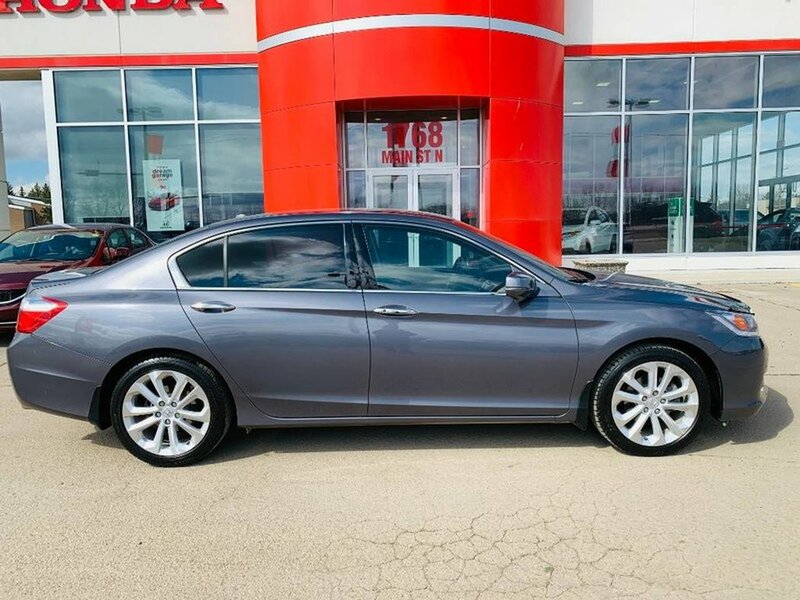 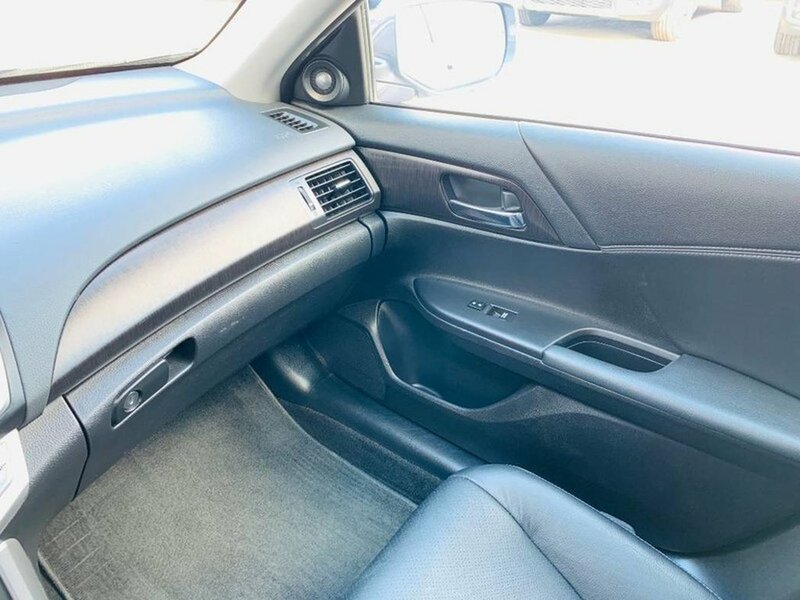 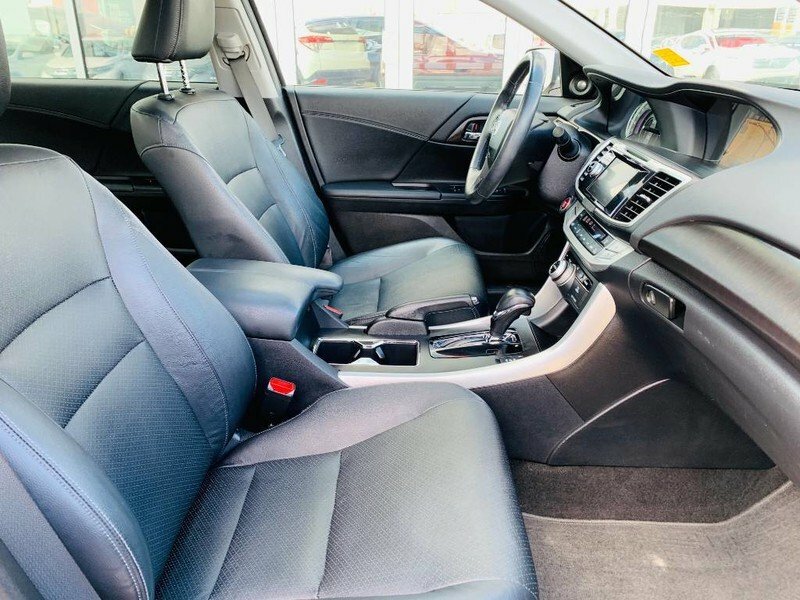 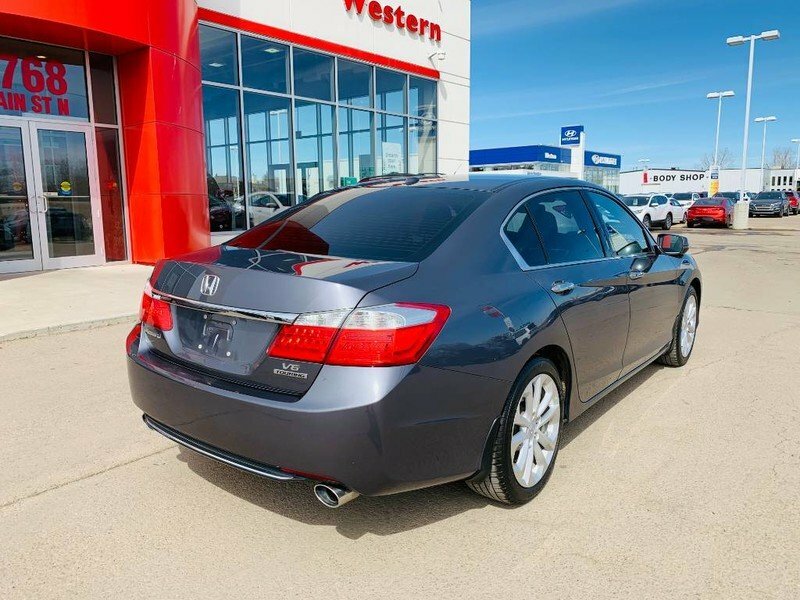 This Accord features the Touring trim level which adds many must have features. 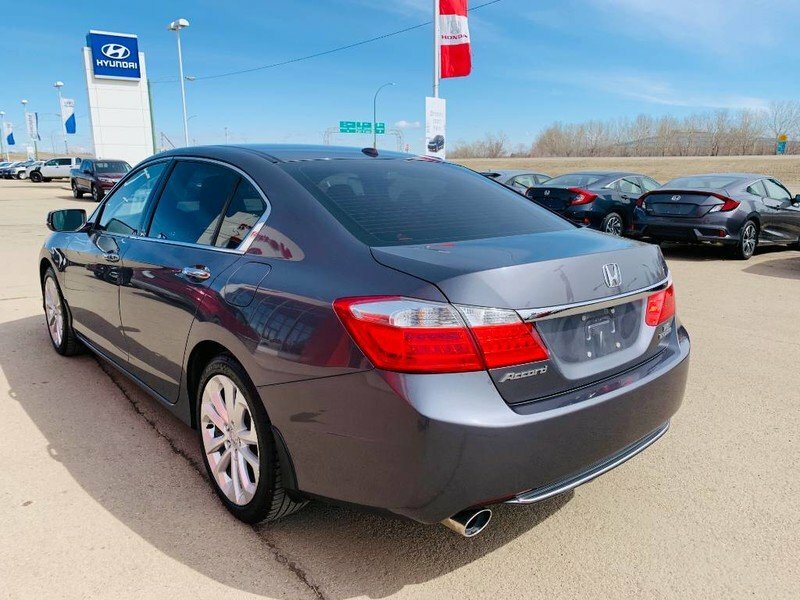 The 3.5L V6 engine is peppy when you want to have fun but if you drive it conservatively you can expect an impressive 6.9L/100KM on the highway. 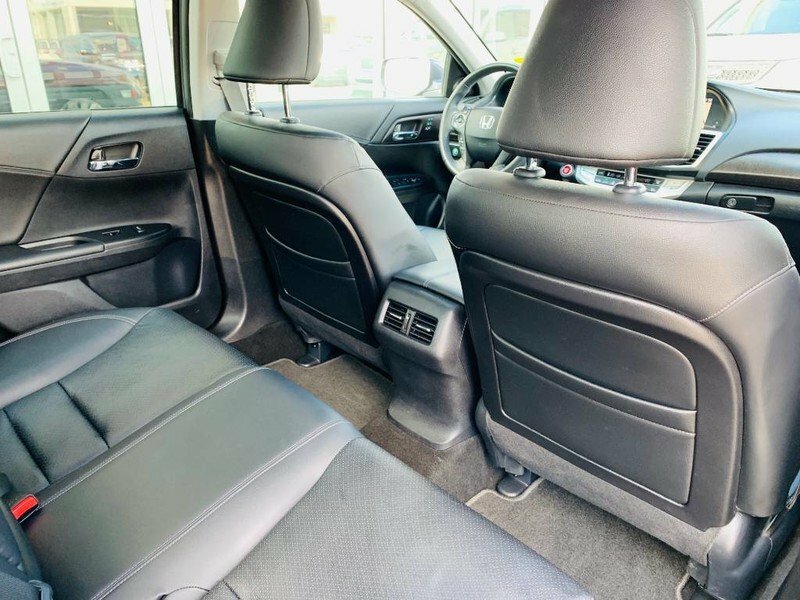 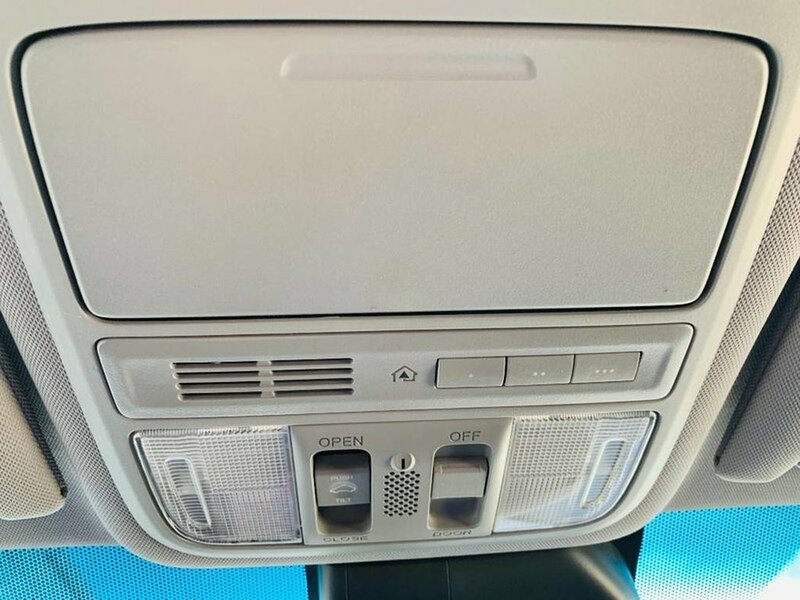 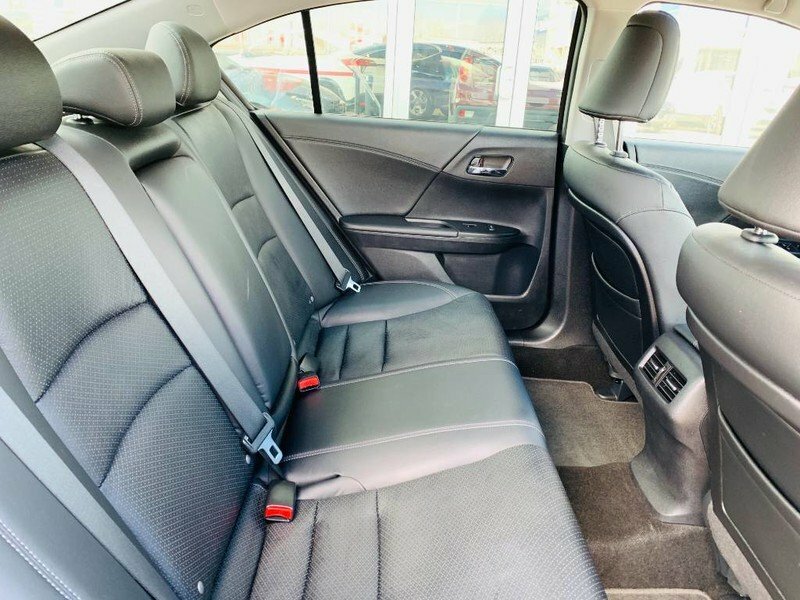 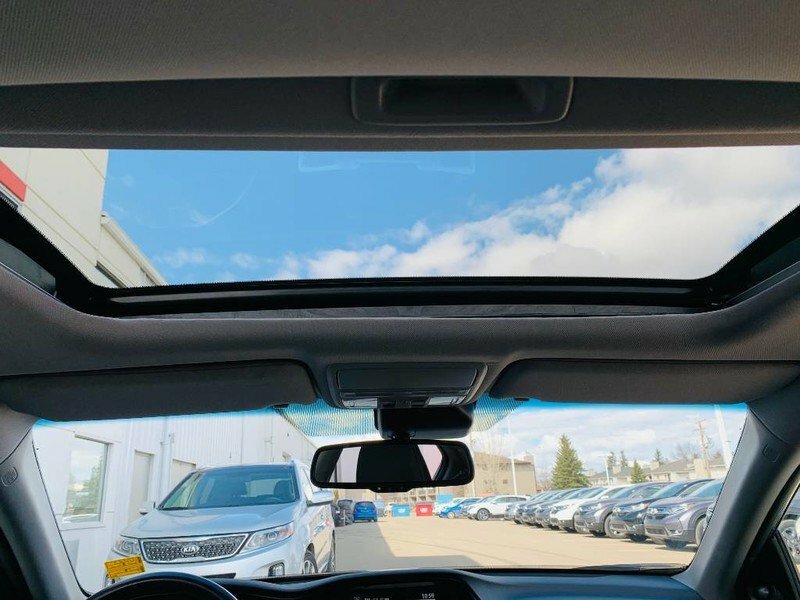 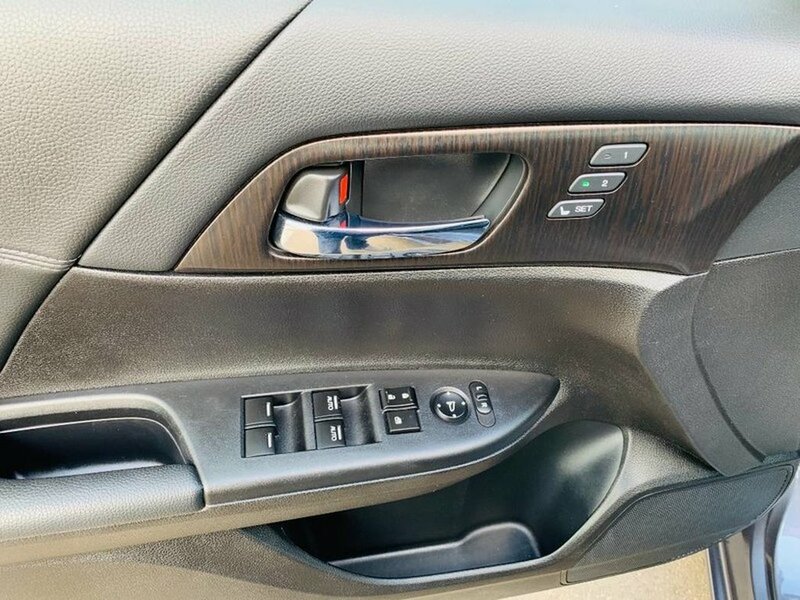 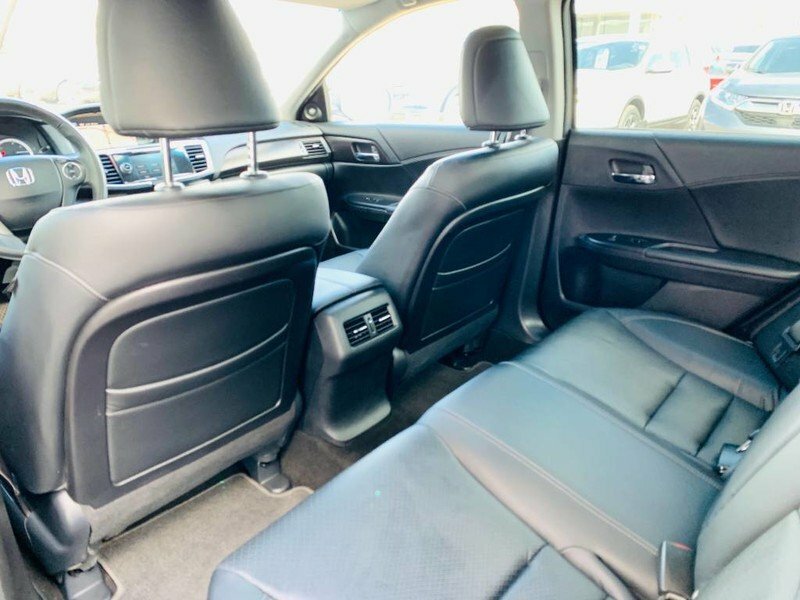 This sedan has many features such as; leather-trimmed interior with comfortable heated seats while enjoying all the technology. 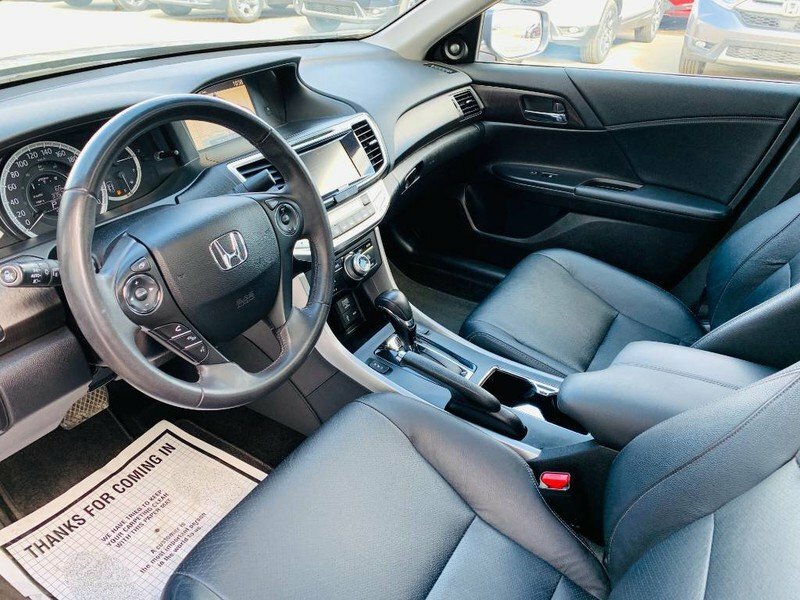 A multi-function HD touchscreen display, steering wheel-mounted controls. 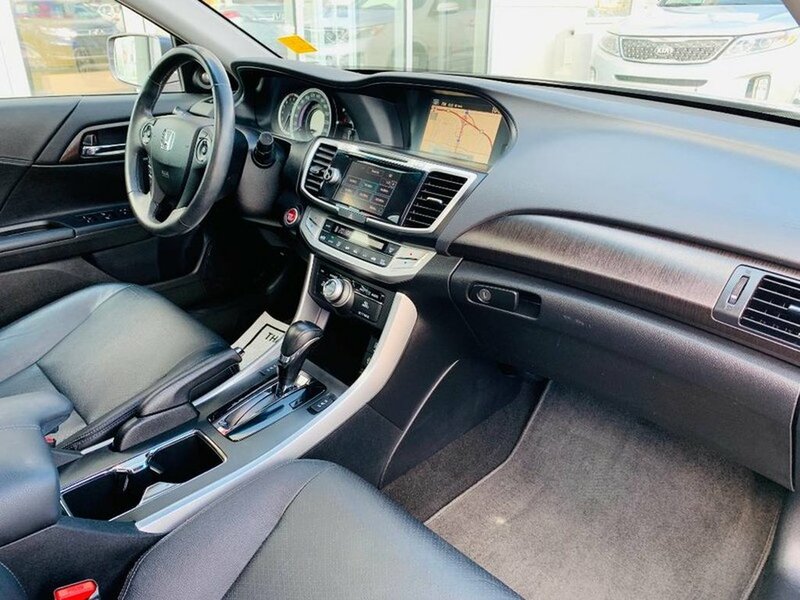 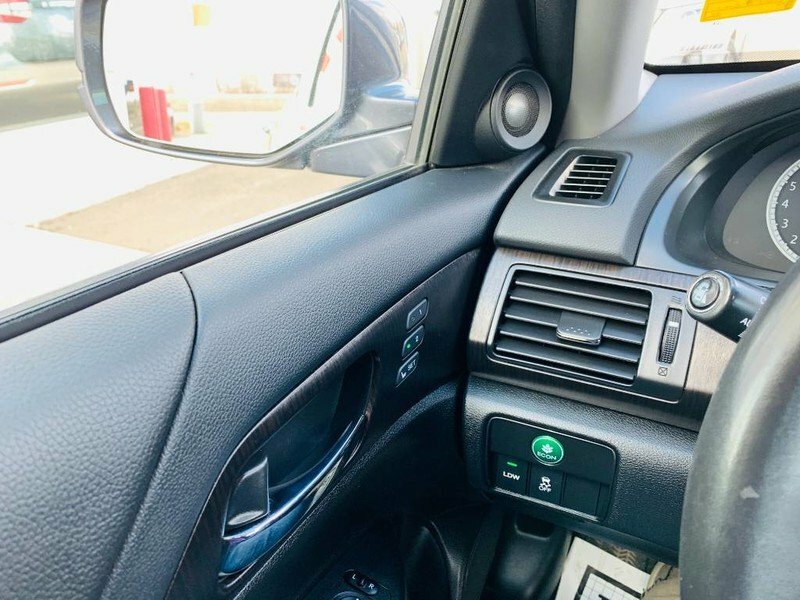 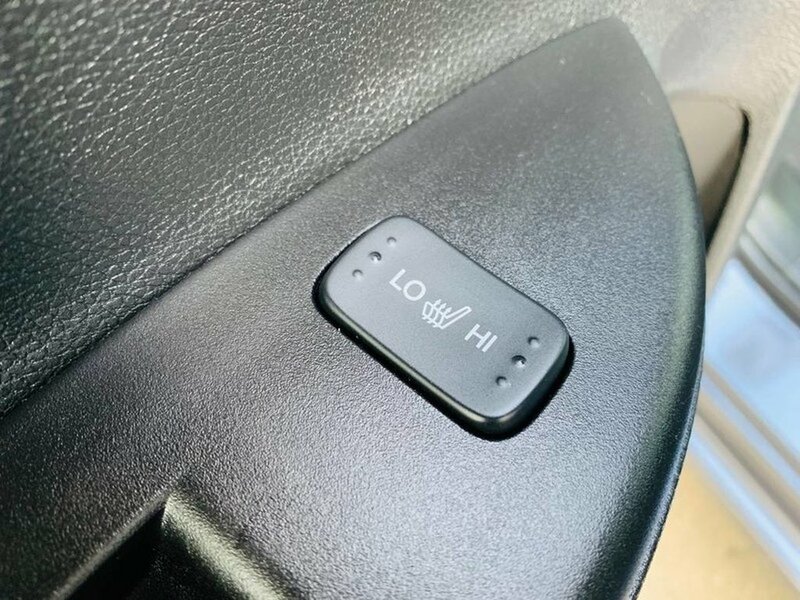 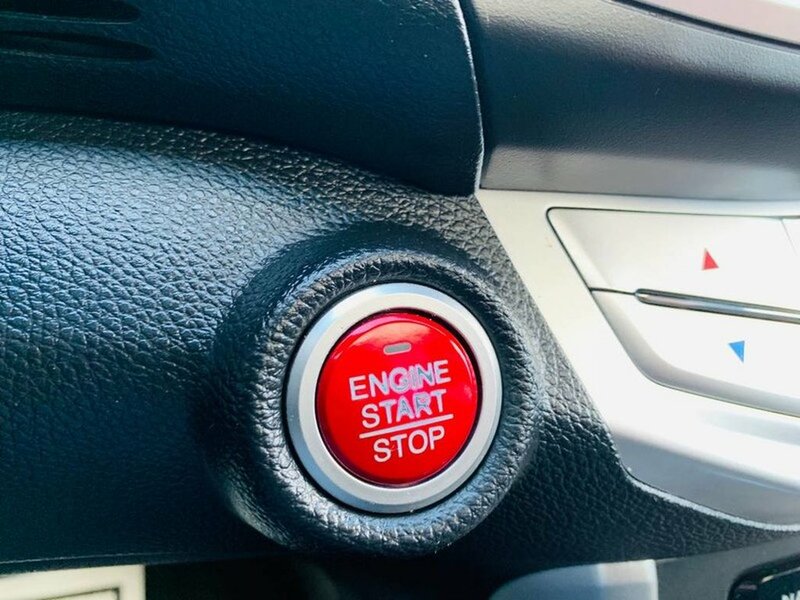 Keyless entry/ignition, a large sunroof, dual HID headlights and full-color navigation are also appreciated along with much much more.